Can You Buy Quartz Remnants and Save Money? Find out how. Did you know you can save money on Quartz countertops if you buy Quartz remnants? Do you have a small project that requires Quartz? You can save a lot of money when you choose to buy quartz remnants in Tampa Bay versus using full slabs. A lot of people love quartz countertops; this material can bring a lot of beauty and sophistication into your space. The only problem is that Quartz doesn’t come cheap. Thus, most people are forced to look for other options when they discover they cannot afford to buy full Quartz slabs. Quartz countertops in Tampa Bay are relatively new when compared to granite or marble countertops. However, what makes them different and unique is that they don’t have the weaknesses that can be found in other natural stones. 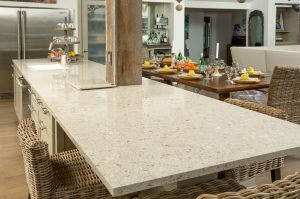 Today, you can see quartz countertops in most modern homes and restaurants throughout Tampa Bay. A lot of 5-star restaurants in the United States make use of this premium stone in their kitchen, bathroom, and many other places. It will be a great addition to your home if you want to improve the look of your home. The appearance of quartz is rich, even luxurious. It can make your home look high-end and sophisticated. Without a doubt, quartz countertops are very popular. They are mostly made of 93% quartz and about 7% resin. There are tons of reasons why most people love quartz including their durability, stain resistance, and low maintenance. However, if you are in search of saving money on Quartz countertops, then you need to purchase quartz remnants. Below are some of the reason to consider quartz countertops in Tampa Bay. Perhaps, the reason why most restaurants and hotels in the United States are increasingly choosing quartz is that of the ease of maintenance. Unlike other stones, you won’t have to face problems maintaining your quartz countertop whether you are using full slabs or just quartz remnants. It is non-porous and mixed with resin. This means it does not need to be sealed. When it comes to maintenance, quartz has a big advantage over other natural stones. Even if you choose quartz remnants, you will still get a countertop that is almost indestructible. The engineering that goes into quartz ensures you get an ultra-durable countertop that is as close to indestructible as you can get. Even if you are getting quartz remnants from suppliers, you can still get a warranty from them. One of the greatest assets of quartz is its durability. 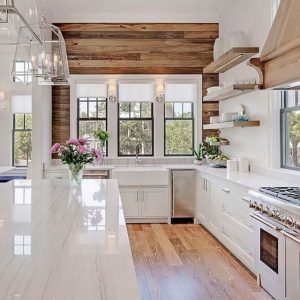 When you have engineered quartz countertops, even if it is remnants, it can easily resist corrosion and stains from household cleaning solutions, oils, and other liquids. Apart from the incredible appearance of quartz countertops, you can use them for a lot of design options. Perhaps, this is the reason why most people always buy quartz remnants because it can be used for a lot of home improvement projects. You can make use of quartz remnants for shower enclosures, backsplashes, and walls without visible seams. If you are looking to improve the appearance of your home, we recommend you choose quartz. If you have a small project, then go for quartz remnants. Why Buying Quartz Remnants in Tampa Bay is a Cheaper Option? Quartz countertops are fabricated from large pieces of materials known as slabs. The price of your countertop will be based on how many slabs are needed and how much of the material is used. It is very common that when a kitchen countertop is cut from a large slab, there will be some leftover pieces. These leftover pieces are known as quartz remnants. They are still perfectly good to use for a countertop. If your countertop can be cut from these smaller pieces, then a full slab does not need to be purchased. In the recent years, a lot of people are increasingly buying quartz remnants because they want to save money on their home improvement projects. Without a doubt, using quartz remnant is a great way to save money when you have a small home improvement project. This trend is becoming so popular in recent years that it is becoming hard even to find these remnants. Quartz remnants can easily be purchased when you know a trusted quartz supplier in Tampa Bay. However, it is important that you don’t buy online. This is because quartz comes in various colors. We recommend that you see the actual piece you want to buy. If you decide to buy a quartz remnant, make sure you don’t choose from samples alone. You can make an appointment with the supplier to see the quartz remnants before paying for them. You should also look for a trusted quartz fabricator. Don’t just buy from anyone. Search for trusted quartz fabricators in your area. You can easily find them with a simple Google search. Where to Buy Quartz Remnants? Over the years, Tampa Bay Marble & Granite has gained the reputation as the most experienced and trusted quartz fabricator in Tampa Bay and the surrounding area. If you are looking to save a lot of money on your next home improvement project, you can get your quartz remnants from us at a very affordable price. Visit our showroom and warehouse today to see the best quartz remnants in Tampa Bay.